Home Motivation Announcing Race Timings : Demotivating or Motivating My Run-Mates? What’s really wrong in – Posting our run timings, our improved timings, our this year’s timings versus last year’s timings, this year’s timings versus last 3-4 year’s timing, flashing our medals, certificates, our hill runs, flat runs, running poses of all types, things we saw on our runs, butterflies, ants, mountains, people whatever! Nothing wrong with craving attention and appreciation for staying fit! If social media can keep people motivated to stay up with the fitness side of life, then I see no bad in it! The psychologists can say or call us whatever the hell they want! We are staying healthy, having fun, looking good – how wrong can that be???? The point however is that I have often wondered whether posting my run/ race timings on Facebook or my Whatsapp run group have any negative effects on the people who read them, apart from forming an image of me in their minds. I am very proud of my run timings. I earn them through months of training. It’s a non-monetary hobby. But I cannot underestimate the energy, focus and strength it gives me – it’s hard to explain what it means to me some days when I am tired to the bone and still ready to go for a run! Then why not tell the world that I clocked in my first sub 2! Or proudly announce my PB! Or rant about how I have improved by a whole 60 seconds you! You cannot separate running from timings. It’s no fun to not track your improvements, your best runs or even the worst ones. PBs are meant to be broken! Coming back to the impact, something that happened on my big race day made me think about how announcing my race timings impacts then. My first big official race in India was the ADHM 2015 and I clocked my first half marathon timing of 1.54.39. You would imagine how kicked I was! At the same, I also get a hearty kick helping new runners and inspiring them to go out there and run. But after my euphoria of my first Sub 2 celebration settled, I realized that many of my runner friends started feeling uncomfortable discussing their run timings with me. They thought they complimented me by saying I wasn’t their league now! Sure, I was becoming a better runner but hey I like to be out there for runner friends and there I see I demotivated a few by announcing my timings sounding a bit arrogant at times! The first time I meet someone who is a runner – Avoid asking the first question – What’s your half/ full marathon timing? It breaks people in many ways. They know they are getting judged as a runner. Discussing timings on the Whatsapp Run Groups creates tremendous pressures on beginners especially. We all began somewhere and we needed that nice runner who could keep us motivated! Who could make us believe I can! There is nothing wrong being competitive with yourself or even another person. But just watch out on how many people are getting inspired and how many are getting demotivated! If you don’t care how many are getting demotivated anyways, then you shouldn’t be reading this piece anyway. I love the competition. I work hard for it. I enjoy collecting my PBs and I won’t give up till I really have to! However, part of maturing up as a runner is accepting that there is always a better runner than you – In the same group, in a different group, on the same road and in the events. And the PB is your own Personal Best! But what really makes me feel like a complete runner is when I get out for a run with a new runner. It feels even more amazing when she finishes her first long distance because I slowed down for that one run for her! It feels awesome when someone who couldn’t run 3 kms two months back, does her first half marathon and credits you for helping out with a couple of ‘I believe I can’ runs! Yes! That’s what makes me feel like a complete runner! Thats awesome platter of motivation nd runner’s ettiquttes…..i loved the way u deal with newbies..plz Give me some tips on running…..
You opened the lid, Tanya. Definitely a simmering topic. I feel run timings create the same pressure marks did in school, placement did in college etc. I have seen the pressure that a sub 2 created in a half. And frankly as a number it is stupid and out of illogical. People drop out of runs just because they feel they won’t get impressive timings. And let me out it there in the open: it even makes people (like me) opt for pacing. What we should share, however, is our run frequency and distance, because these are the two factors that naturally give you speed. Share the journey, not the destination. Well said, Sanjeev! Its the Frequency and the distance and also a lot of method in getting in right! Yes numbers are building too much pressure…I can see it on daily basis…runners ranting about how they couldnt do so well…or how they are not sure how well they will do in their runs etc. Happens mostly with newbie runners and then better sense prevails! Totally agree with you Sanjeev. It creates too much pressure, demotivates newbies. 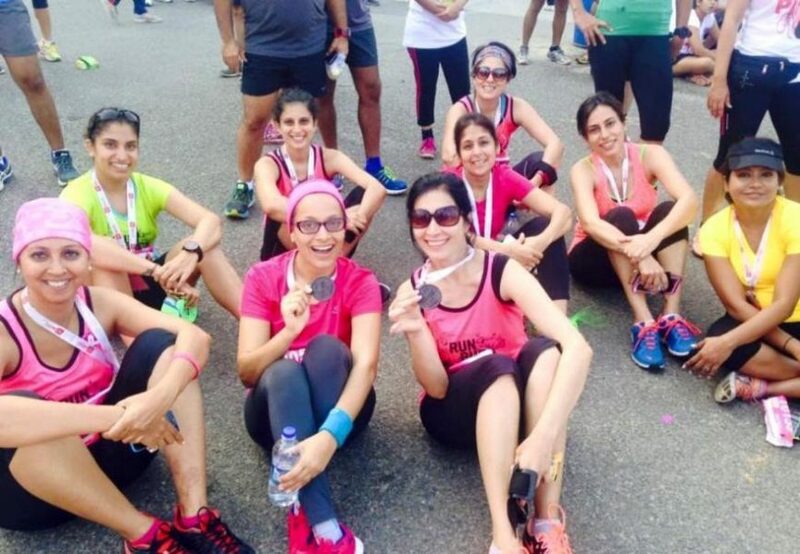 I think posting about your run and experiences during the run and training is good but posting the timing is totally unnecessary and I have started to feel that many people run for fb. If there was no social media I feel the number of runners would be less. Just the people who run for their own satisfaction…sorry to say but I don’t see anything good for the rest in posting timings..
Glad you enjoyed reading it,Karandeep! More coming up soon! Now that will be my real victory! And also a good challenge to work on! 🙂 see you soon! Drag you soon! Definitely it adds on the pressure to a newbie. But I guess all these PBs nd timings in running is a temporary phenomenon that subsides when a runner matures in this field. Maybe after few years timings n PBs will take a back seat nd that’s the time when running will be enjoyed in totality. Before that it’s self imposed pressure of sender nd to receiver. A charged runner who just got a pb will always announce . There no etiquette to it . If You feel good about it go ahead and say it to the world / add on that it takes a lot to do so . strenuous efforts are always accompanied with emotions that affects our higher brain functions . It affects all . Run mates will hug , congratulate , post the glory . But very few are in a position to segregate their struggle with your win . It’s their perspective , Sadly very few take it positively .